Democrats have countered by calling McConnell’s maneuver a “sham,” saying the vote was held without any hearings or expert testimony, all to scuttle meaningful legislative efforts on climate change. “The American people will see, they will see which of their senators can do the common sense thing and vote 'no' on this destructive socialist daydream. And they will see which senators are so fully committed to radical left-wing ideology that they can’t even vote no on self-inflicted economic ruin,” McConnell said. Senate Democrats were quick to slam McConnell’s move as a stunt meant to expose divisions within the party. 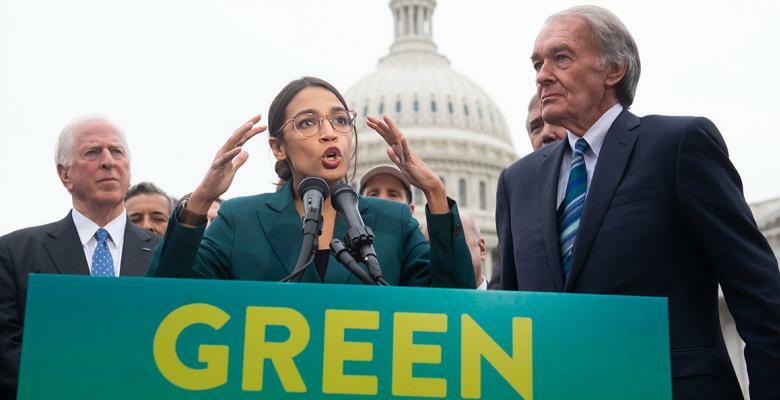 "Climate change is an existential threat, and confronting it requires bold action," Harris said in a statement following the vote. " ... Political stunts won’t get us anywhere. Combatting this crisis first requires the Republican majority to stop denying science and finally admit that climate change is real and humans are the dominant cause. Then we can get serious about taking action to tackle the climate crisis at the scale of the problem." "[McConnell's] stunt is backfiring and it’s becoming clearer and clearer to the American people that the Republican Party is way behind the times on clean energy and that Democrats are the party willing to take action," said Schumer, D-N.Y., who asked, "... What's the Republican Party proposal? Is it more coal?"